There are some things I will NOT spend money on, even when I’m not trying to save $20,000 to pay for our wedding. I’ve been frugal for years as a means of necessity, but old habits stay strong with me. 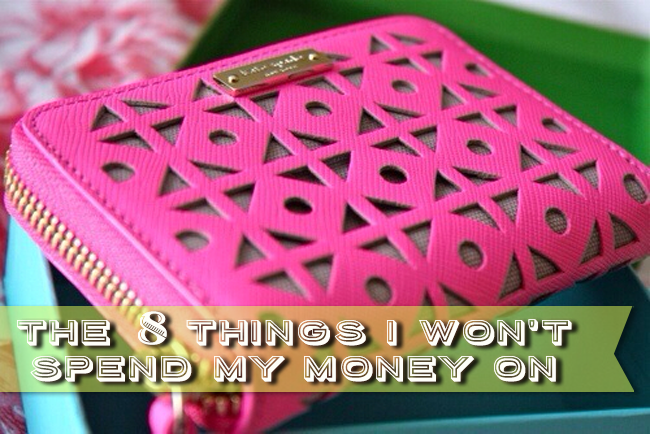 I find that there are a few things that really pain me to spend money on, so I avoid them if ever possible…. to me, these things are like burning money. Of course, I’ll spend my cash on other things that people deem frivolous- like sending flower to a sick friend (worth the $70 in my book) or buying something if it goes to a good cause (like TOMS shoes or a fun fundraiser) but I save wherever I can. Rarely, if ever, do I buy coffee or tea out. I brew my own hot coffee at home every morning (I like a morning caffiene buzz) but I also have gotten into making iced coffee and iced tea at home in the summer. If you see my Instagramming a photo of an iced coffee from Starbucks, I either am dying of thirst, exhaustion or it’s a special occasion. I used to buy iced coffees all the time, not realizing how stupid simple it was to make iced coffee! Most people know to skip the $5 lattes, but honestly, I make all of my beverages at home and bring them to work in a mason jar or travel mug- which includes iced coffee, iced tea or other beverages which I make with Mio or Crystal Light to save a few bucks a week. Even when I need to grab lunch on the go, I cut costs by by skipping the beverages. I was in debt for a time to pay off my student loans from graduate school, but luckily, they’ve finally been paid off. I hated being in debt for my graduate degree, but luckily, my undergraduate degree was paid for through strategy and sacrifice. I didn’t get to go off to my first choice school, I went where we could afford and really was scared about getting into debt. Estimated Savings: $40,000 (from 2 years of undergrad). I’m sure you could have guessed this one. I get giddy over libraries. I’m fortunate to live in Chicago where there are tons and tons of libraries and a decent Interlibrary Loan system. In college, my love of libraries also helped me save tons of cash on text books. I rarely, if ever buy books. If I can’t get it from the library, I will wait until I have a gift card to Amazon or can borrow it. I adore books, but unless it’s a keepsake I will refer to often, I do not let it clutter up my house. Estimated Savings: $2,800 (in undergrad & grad school). $240 a year today. Thrift stores and garage sales are crawling with fancy glassware. I recently picked up some Lenox Pinot Noir wineglasses for under a buck a piece. I break them too often to spend greenbacks on ’em! Again, I am totally debt-averse. I hate debt. We’re planning our wedding and I refuse to go into debt over it, so this year we’re saving $20,000 towards the wedding budget. Currently, we have about $14,000 saved (and I have worked hard for it!) and are paying off any credit card debt we’re accruing to get airline miles with (for the honeymoon) each month before we get dinged with interest and fees. I hate, hate, hate debt. There was a time in graduate school when I really wished I’d picked a fancier apartment, or I wouldn’t have to work odd shifts to help pay for school but honestly, it helped me graduate with minimal student loan debt and no credit card debt. I cringe at paying shipping fees. Yes, I get that some businesses crank up prices on their wares so they can offer “free shipping,” but I think they’ve tapped into a solid psychological response…folks hate paying shipping. I often use online coupons, batch my order or shop with sites that offer free shipping specials to get business. With some strategic planning, I get free shipping. The only time I ever flinch on compromising on my hatred of shipping fees is when I shop Etsy or a small business that literally has to pass on that cost to consumers. That, I can stand behind. I can’t even remember the last time I went to a movie theater. Literally. I watch a ton of movies, but always on Netflix or I borrow DVDs. In Chicago, we have a few discount movie theaters where you can see a film that’s about to be retired from theaters for about $3 with a student discount, but even then, I think the last movie I saw was Inception and it was on my birthday 3 years ago as a gift from a friend. I love to see free movies in the park during the summers or rent movies at home in winter. I have never had the need to go see a movie in a theater unless it was super special like the Simpsons Movie (which I’ve been a Simpsons fan since I was 4 years old) and that is an uber rare occasion. I’d rather rent, and if I really need a thrill I’ll fake-sneak in snacks to my own house just so I can feel cool. Estimated Savings: Priceless. Giving a rescue dog a home is a win-win and worth every penny! So of course, I have to ask, what do you HATE spending money on? We don’t have cable so I guess that’s one thing I don’t spend money on? But I have Netflix and Hulu soo I’m not sure. I am desperately trying to get myself out of credit card debt. I started my small business and started to spend because I NEEDED things but then was really lax about paying it and as interest does it’s ballooned now I’m on a mission to pay it off in 2 years. My degree taught me 2 things in order to make money you must lower costs or increase revenue. Lowering costs is easier and these tips are great. So true Renee! 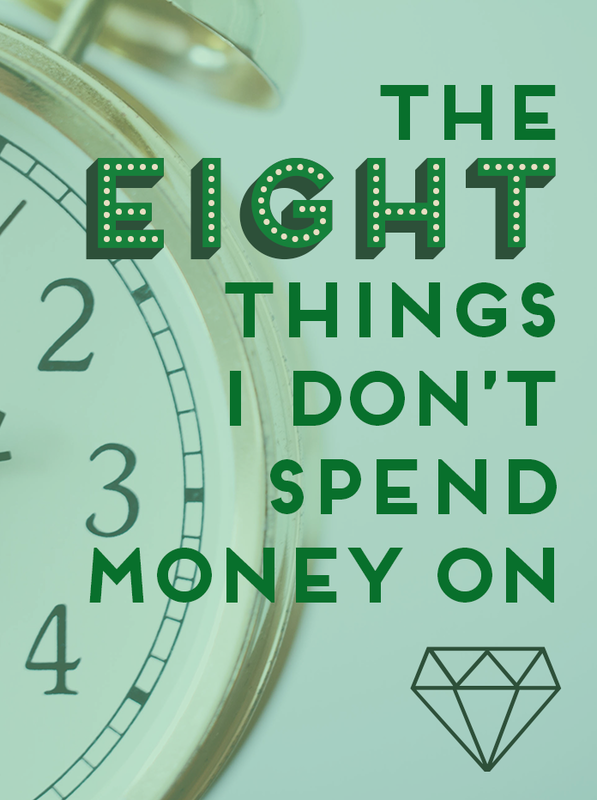 That’s my focus right now… I have cut costs for several years and need to do a good pruning, but another way to live frugally and savvily with your money is to learn how to earn more! Whether that’s a side hustle or selling stuff off, there’s two ways to go about it- spend less or earn more! I hate spending money on shoes. I have 4 pairs, and one of them is from a consignment shop. I do not want to spend more than 50 bucks on sneakers. I want comfortable shoes, but that money can be better spent on pillows, gas for roadtrips, date night, whatever. I hate wearing shoes. I was reading a blog today, that said “check out these Christian Loubitons, for $775.” That’s about twice as much as my rent. That money needs to go to my sanity, not my shoes! It’s good that you know what your priorities are! Cassidy, You are a role model, congrats! I just want to add that everyone should avoid all impulse purchases. I would also recommend looking at schools outside of the US. I got my Masters in Ireland and the entire degree cost $15k. The cheapest I could get that same degree in the US would have been about $60k. Not only did I get my masters, but I got to live in Ireland for a year for less than two semesters of school here! I never would have thought of that Erin! Great idea! Non-alcoholic drinks in general! Though alcoholic would also save money, I view that more as an expense to spend time with friends at a convenient location for all of us. But with so many cute reusable water bottles out there, you can save the environment and the money you’d spend on bottled water. I also always drink water with dinner for both health and spending reasons. Totally! I will spend money on grabbing a few drinks out, especially if it’s happy hour or it’s what brings us all together…but the easiest way to save cash on dining out is to avoid the $2-3 beverages. I will totally pay for a good martini or something tasty to share with friends…but I drink iced coffees far too fast to enjoy when they cost $5! Loved this post! And I will have to follow up on the fancy glassware part- I need to check out some thrift stores it sounds like! I guess this kind of goes with the Iced Tea/Coffee section, but I hate paying for bottled water! I will opt for it if I am absolutely dying of thirst, but it’s so much easier, cheaper, and honestly more convenient to carry a re-usable water bottle and fill it up at home before leaving. And then I can even add mint, lemon, or berries if I want to! I feel you! Paying for bottled water is a total bummer unless I didn’t plan well enough! I have a few good water bottles now that I like to keep in the car or take on trips- it’s just a matter of remembering to fill it up and bring it! Also yes, I’ve found some awesome glassware at thrift stores for quarters a piece. Martini glasses, champagne glasses…pretty much anything you need and every type of wine glass under the sun. I love it! I’m with you on this. I do, however, go to the movies at least once a year ( I know it’s not much), but when I go I try to go early in the day when they have discounted prices. For sure Aldo- and if you like movies, there’s no shame in that! For me, I don’t enjoy them, so usually my fiance has to fly solo. I’d rather take that $8 and get some food or go out for a drink with a buddy instead… or heck, even save it. To me, movies aren’t a good use of my cash. I’m all for everyone getting a rescue dog. I’m not a fan of of pet shop or breed animals. You’re just supporting a bad cause. I also don’t like movie theaters. They are expensive and also very dirty. Ya movie theaters are nasty…and annoying. I hate it when I pay like $5 for a giant drink then I have to go to the bathroom midmovie and miss something. Also, they’re stupid loud. I know that’s their thing, being loud and totally surrounded..but eh. Not into it! Movie prices appall me, plus they are dirty. I think rescue is great but I don’t think rescue is for everyone. We bought our first put from a breeder that I spent close to seven months researching and adopted the next two pugs. I’d both go back to our breeder and also be open to adopting in the future. Rescue isn’t for everyone, but honestly I wish more people would consider it before buying from a breeder. Many folks were surprised I got all of my pugs from rescue, not knowing there are breed specific rescues out there for spaniels, poodles, greyhounds and bulldogs where you can get on a list and wait for the right fit to come along. Some folks want a puppy, which I get- but after having several puppies, I prefer a young adult dog! I think it’s great you’ve tried both! We are rescue people too. We rescued our puppy (lab-mutt) in Illinois before we moved. There are a ton of rescues. I also love libraries and while I used to buy books by the ton (I met my husband when we both worked at Borders in college) we no longer buy books. Well. Except children’s books. I also don’t buy DVD’s or own any movies at home. I hate storing things like that and just don’t see the point in owning a movie. 🙂 Good luck with your wedding savings! One thing I do not buy new is clothes. There are so many Goodwills, Savers, Salvation Army, and independent Thrift stores out there, why pay $25 or more for a shirt or more for a pair of jeans. add 1 cup water softener,,,, one cup dry bleach, and,,, two (or three cups depending on how hard your water is) of vinegar (apple cider is best). Agitate the load for several minutes to get the clothes saturated and leave them alone over night. come morning if you want put a clear glass in the water and it will be so cloudy you cannot see through it. Thats all the soap residue, and other hard water deposits. Run the rest of the cycle and dry normally. Your Good will purchases will look like new. Now that I’m tens of thousands of dollars in student loan debt, I wish I could re-do my undergrad years differently. Not that I regret my education, I just wish I were more proactive about scholarships/grants/etc. I had to do some un-fun things in undergrad to pay for it- I spent nights and weekends either working or applying for scholarships and volunteering…I really wish I’d have done a semester abroad, but didn’t think I could swing it. Looking back, I think it would have been amazing. I really wanted to go off to school, either in another state or city, but the cheapest thing was for me to go to the closest university after community college…so it wasn’t glamorous and it wasn’t a “big name” school, but it got paid for. I think most kids don’t know how aggressive one must be to get scholarships, but it does help! Hey! Love this post! I’m currently working through grad school and paying my tuition out of pocket, so I definitely love any financial tips I can get. A lot of my friends laugh at my obsession with the library, but we have a great public one that you can request items for. I get books, CDs, and DVDs and they’re all free! (Book nerd joy!) Thanks for the tips! And PS: Love my mutt, best $25 I ever spent! (She was on sale at the shelter, LOL). For sure, I think everyone knows about “the latte factor” at this point… but I have found there’s other ways to get creative. 🙂 Thanks for stopping by Kayla! I HATE paying for shipping! I will spend a few dollars more to get free shipping or shop somewheres else for free shipping. And I second on the rescue dog. My dog is a rescue from a kill shelter down south and I love her to death. I don’t understand someone would pay thousands for a purebreed dog when you can save the life of another! I am so glad you’ve gone with rescues! Yes, I get why some folks want a purebreed..but unless you’re showing the dog or need it for a specific purpose (like, I dunno, hunting or a hypoallergenic dog) I always go with rescues. You can get puppies this way too you just have to be patient! I have to comment on the rescues point! I LOVE rescues and I’m ECSTATIC that you put that on your list… so many people think they’re “broken” or they will be aggressive and that it’s a waste of time. It’s really amazing what a little love can do for a rescue dog. Our 2 dogs are rescues and they both had their own quirks but what dog doesn’t? When you get a puppy from a breeder, you are creating a demand and thus they will continue to supply. It’s terrible, especially while we have TENS OF THOUSANDS of pets dying in a shelter every day. It breaks my heart. Like you said there’s rescues that focus on specific breeds and you can basically find any breed of dog. But at the end of the day, why does breed really matter? (unless you have allergies, you can still get a mutt tho!) Companionship is not correlated with breeds. Thanks for noting that 🙂 You da bomb. I do many of these as well, the only time I tend to get coffee outside of my home is when I’m gifted a card. In addition I refuse to pay for cable and a home phone. While I do shell out the $8/month for Netflix I cannot justify spending $100/month or more on cable. I never find that I am lacking for something to watch and if I ever did there is always a book or other activity instead. And for phones? We’ve all got cell phones now, and even for that I find discounted and super cheap plans, there isn’t a point to having a home phone line. I save probably well over $200/month on cutting out both of those services and using a ‘straight talk’ plan for my cell phone service. Thank you for the ideas. Sometimes the small things matter. I couldn’t agree more with your point about a four year degree. If I could do it all over, I would have done the first two years at community college. Since I went to a private University, the savings would have been in the 40-50k range! Most community college credits transfer to 4-year institutions since most of the courses the first two years are introductory or core classes (e.g. Biology 101). The only downfall is missing out on that “college experience” (i.e. 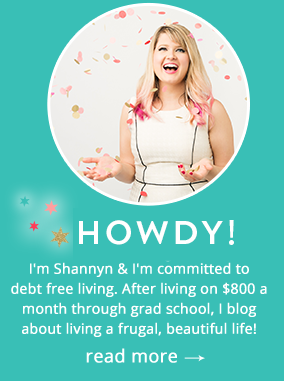 dorm living), especially the first year, but being debt-free or close to debt-free after getting a degree would more than make up for that missed experience. Great comment, Robert, and all valid points. It’s definitely something all students need to think about. I often feel like I must be missing something about weddings. I honestly can’t imagine spending $20k on one party. I know you must have sacrificed a lot to pay for a wedding and it’s a splurge that is very important to you. But instead I see paying cash for a car (or two! ), a down payment on a house, an investment account, or just another $20k in the bank. My ring also cost well below the 2 months salary a man is expected to pay. I would have thought my husband had lost his mind if he spent that much. We had our wedding at my in-laws house and paid a chef for the day. With clothes and everything we spent $1k + honeymoon. Not saying this to make people feel bad for their expensive weddings, but I think both men and women feel pressure to spend a lot of money. You are not alone if you want to keep that cash in your pocket. We weren’t even on a tight budget when we married, I’m just cheap. The only thing I don’t agree on is the coffee, only because I think it’s important to “go for coffee” once in a while with a friend. And once in a while if I’m out and need – and I mean NEED – a pick-me-up, I’ll go to the nearest gas station that I have rewards with and get a $l.20 cappuccino/coffee. It hurts to get a $4+ coffee.